Water absorbing polymer crystals are an odorless crystal like substance that can hold up to 400 times their own weight in water and will slowly release their moisture. While these crystals have plenty of different uses, they make for an ideal option when it comes to choosing a humidifier source for your cigar humidor. These water absorbing polymer crystals can last up to a few years if stored properly and not allowed to ever completely dry out. Another popular use for these polymer crystals is that they are mixed in with the soil in dry areas who don’t see much rainfall. The reason for this is that the crystals will hold on to the water for longer than the soil in a very dry climate, and as the soil drys out the crystals slowly release their moisture keeping the soil moist longer and making plants growing in this soil more tolerable to drought. In this video you can see the amazing moisture retaining qualities of these crystals, by the difference in size of the dry crystals and the hydrated crystals. 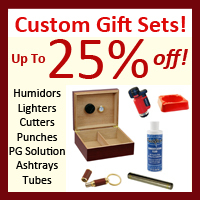 Some of the reasons these water absorbing polymer crystals are a better option than the standard sponge base humidifier when it comes to humidifying your cigar humidor is that these crystals will last a lot longer than a sponge. There will be half of the maintenance with these crystals then there is involved with a sponge humidifier, which means these humidifying crystals will stay moist for twice the amount of time a sponge humidifier will, meaning you only have to recharge your humidifier half of the time. When using these polymer crystals in you humidor you want to make sure to use only distilled water, because tap or mineral water can leave mineral deposit build up on your cigars and impart a bad flavor to your cigars which in both cases would ruin them.These crystals are 100% safe and non toxic and will age your cigars perfectly. 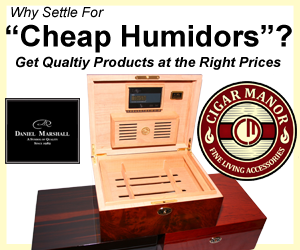 In the rare case that the polymer crystals cause to much humidity in your humidor, simply open up your humidor and let your cigars breath for about a half an hour, then close up and check to see if the humidity level has dropped to where it needs to be. If you are already have issues maintaining proper humidity levels in your humidor with the more standard types of humidifiers then I highly recommend giving these water absorbing polymer crystals a try in you humidor, because they just might be the solution to your humidor’s humidity issues. Thank you for a very informative blog. Where else could I get that kind of info written in such an ideal method?